The ALINESYS.com MPD thermal impulse sealer is ideal for all tabletop medical pouch-sealing applications where budget or space is a paramount concern. Each ALINESYS.com Medical Pouch Sealer unit is pneumatically operated and is available in 15, 20 or 25-inch seal length. A digital temperature controller allows you to program the temperature setting required to provide you with an airtight/watertight seal and the release temperature for your cool cycle. A variable timer ensures precise control over the amount of time heat is applied to your package. With an outstanding level of process controls you can have confidence in sealing a wide range of materials including most thermoplastics and laminated foils. 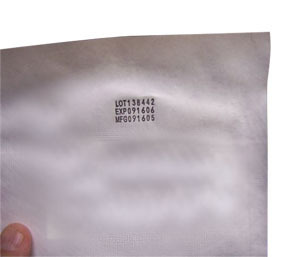 Each pouch sealer is validatable and FDA/NIST traceable. Construction is very heavy duty providing the user years of trouble free operation. Standard safety features guarantee the utmost protection for your operator. The Stainless Steel finish ensures clean room compatibility and options such as the selection of band elements and water-cooling bar are available. All medical pouch sealing units are complete with a ONE YEAR WARRANTY, detailed operating instructions and spare parts kit.